Just picked up my first Porsche over the weekend! I thought a good way to get to know it would be driving about 400 miles yesterday, from Chicago out to Galena with a group of friends. We had lunch looking out over the Mississippi and headed south from there, I split off and crossed the river to set foot in Iowa for the first time. It was just warm enough to have the top down all day and enjoy the fall weather. Congratulations on your new Boxster! Fall is my favorite time to drive a covertible. If you didn't have the color posted, I would have thought you had a black Boxster. It's funny you say that since my other car is the opposite. The color is called Carbon Black but looks blue in the sunlight. Congrats! I have the same combo in a Base. Of course, I am biased, but I think it's one of the best offered. Makes a classy looking Box and there just aren't as many out there. The Midnight Blue Metallic is a real chameleon color - changes from blue to eggplant to black depending on lighting conditions. Enjoy it and drive it often! I'm driving it daily, so no worries about that! Before purchasing this car I drove three other Boxsters, two of which had a grey interior that looked really dated in comparison. The other had black, but it was the roughest example of the three and I could tell the car was not for me based on the condition. In the past I've always looked with specific colors in mind, but always end up with a car that is in the best condition for a fair price. 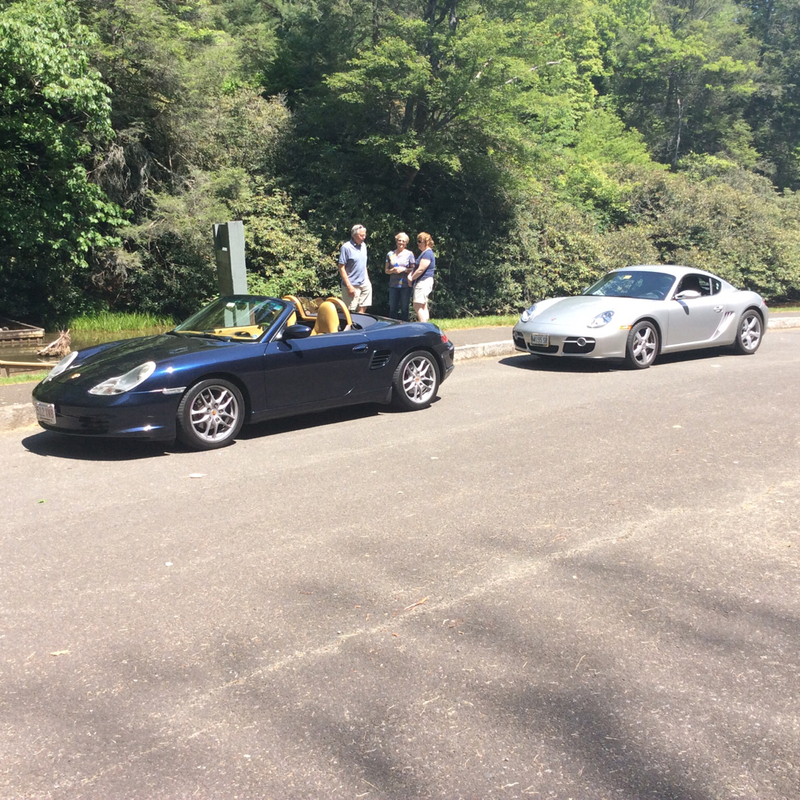 For some reason I can’t view the photo, my computer doesn’t open it up, but my Boxster is also Midnight Blue with tan. Like grc0456 said it really is a chameleon color. Thanks for telling your exciting story, nothing better than going on a fall drive with friends. I did that entire drive with the seat in the wrong position... I finally figured out how to get it to go lower and as far back as possible. So now leg room has dramatically improved. Might look into having the driver's seat re-padded though, it seems a bit flat and not all that comfortable for longer stints behind the wheel. If you are so inclined, you might want to take the seat out and take a look underneath. The support for the cushion might be worn out and sagging. It's an easy four bolts to take out and the unclip the wiring harness (just don't start the car with the seat out or you'll trigger the airbag light - don't ask me how I know this). My seat support had nearly fully failed (it was like sitting in a bucket) , but I was able to fashion and install a new support out of plywood that works perfectly. It supports, but has some give in it. 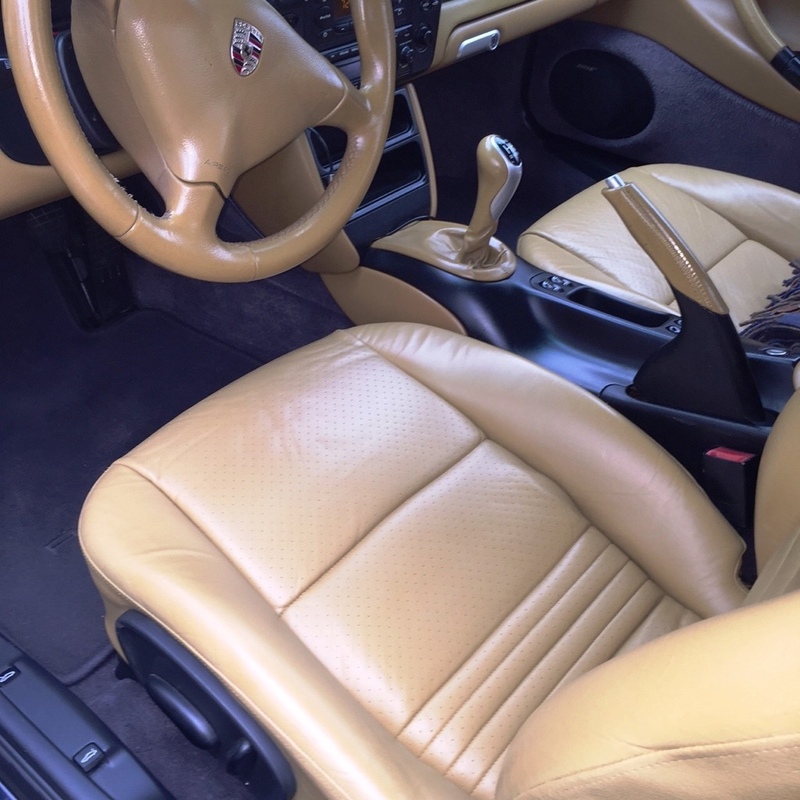 I also repaired and re-dyed the Savanna Beige leather. Nearly good as new. It's an easy four bolts to take out and the unclip the wiring harness (just don't start the car with the seat out or you'll trigger the airbag light - don't ask me how I know this). My seat support had nearly fully failed (it was like sitting in a bucket) , but I was able to fashion and install a new support out of plywood that works perfectly. It supports, but has some give in it. 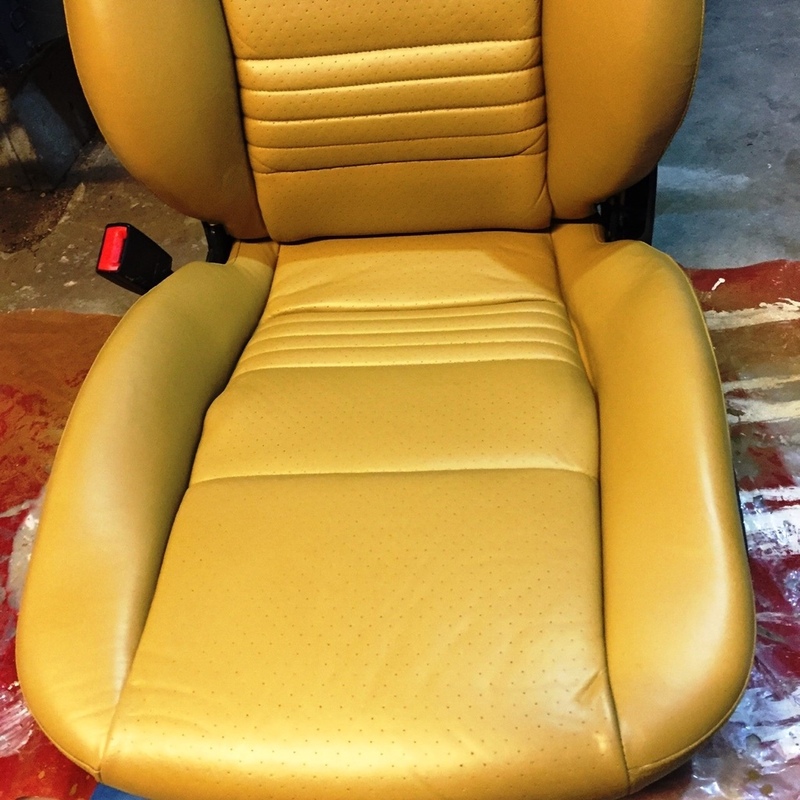 I also repaired and re-dyed the Savanna Beige leather. Thanks, I'll definitely look into doing this! I wouldn't be surprised if that's what is going on based on your description. Nothing new with the Boxster yet, but my brother just dried the ink on an 07 Cayman. His first Porsche as well. Sweet! You need someone to run with. Awesome! 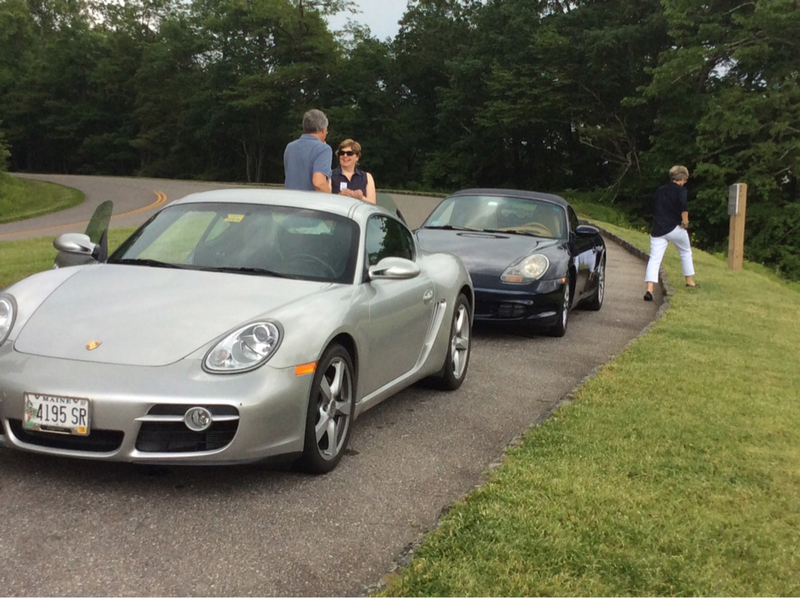 My driving bud (wife's cousin) has an '08 Cayman. Eerily similar! I'm not sure how long my brother will have his Cayman, his track record with cars has been <2 years before moving on. Either way, we're both enjoying them and glad that Chicago winter hasn't been to harsh this year.